Raymond Walker joined Colliers International when the firm acquired The Walker Companies in 2017. Raymond’s vision to provide superior industrial real estate services was the genesis for the creation of The Walker Companies in 1987. Before forming The Walker Companies, Raymond worked 10 years at Cushman & Wakefield where he was a Senior Vice President and head of their Regional Industrial Department. He has been an innovative real estate practitioner for over 40 years, completing over 1.5 billion dollars of transactions for his clients. Raymond has provided location consulting, brokerage, facility development, and incentive negotiation services for major corporations across the United States, including companies such as Home Depot, AutoZone, Georgia Pacific, Continental Tire and Sara Lee. Under Raymond’s direction, The Walker Companies became a recognized leader in industrial location consulting and real estate services throughout the nation. As National Director of Colliers Site Selection Services (CSSS), Raymond leads engagements to identify the optimal location for a client's distribution or manufacturing facility. The CSSS team also completes turn-key project implementation, representing client's in their site or facility acquisition, new build-to-suit construction and to secure of a wide range of economic incentives that reduce total capital investment and annual operating costs. Former board member of Reflections Ministries, HOI, and Music to Light the World. John joined Colliers International when the firm acquired The Walker Companies in 2017, where he was a partner for over 25 years. 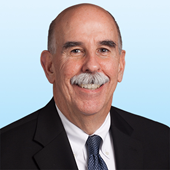 John now leads Colliers Site Selection Services practice, specializing in manufacturing, distribution and e-commerce fulfillment facilities, with responsibility for planning, implementing and managing location consulting engagements including site selection analyses, operating cost studies and incentive negotiations. He has led site selection and implementation projects for complex, high capital expenditure projects such as steel galvanizing and high capacity power transformer production, as well as traditional distribution and e-commenrce projects. Engagements have been completed for companies such as ArcelorMittal, Gruppo EFACEC, Columbia Sportswear, Aldi and Wolverine Worldwide. John has 35 years experience in strategic planning and research, and was formerly Director of Economic Development Research at the Georgia Tech Research Institute before co-founding The Walker Companies in 1987. He has spoken widely on labor analytics, labor union threat assessment and site selection of industrial facilities to organizations such as the Retail Industry Leaders Association (RILA), The Material Handling Institute (MODEX), The Society of Industrial and Office Realtors (SIOR), The Logistics Institute, The Urban and Regional Information Systems Association (URISA), and the Association of American Geographers. 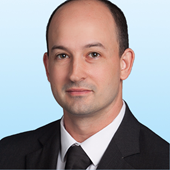 Jason Brown joined Colliers International in 2017 as a GIS Business Analyst for the Site Selection Services practice. Jason brings experience from both private consulting firms and public agencies. Jason specializes in providing detailed analytics to Senior Management, Operation Specialists or other company representatives with the responsibility of comparing and analyzing all applicable factors for diverse capital investment options. Jason has 10 years of experience related to geographic information systems, and has provided advanced customized solutions related to predictive analytics, machine-learning, real-time location based technology and mobile solutions. Jason specializes in providing analysis related to business trends, labor markets, physical/environmental factors and operational costs. Jason utilizes the latest technology and customized solutions to provide optimal delivery of analysis within tight project timelines.